Hooper Strait Light is one of four remaining Chesapeake Bay screw-pile lighthouses. Originally located between Bloodsworth Island and the eastern shore mainland in the Chesapeake Bay. 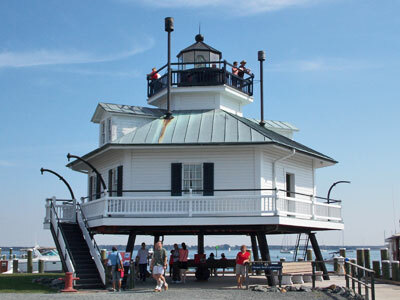 In 1966, the lighthouse was relocated to the Chesapeake Bay Maritime Museum in St. Michaels, MD.